While reading one of my favorite blogs, Paper Crave, I noticed a post about a recipe book complied by over 50 bloggers. All proceeds from the cook book, titled Recipes to Help, go to The American Red Cross. Cupcake recipes included in the book are a recipe for chocolate cupcakes with nutella, almond butter, and vanilla cream cheese frosting by Good Life (eats) and derby cupcakes from The Polka Dot Chair. The book is available in print or as a e-book, each are $10.00. Gigi’s Cupcakes of Savannah Georgia is using cupcake power to help a local foodbank, America’s Second Harvest. Customers who bring in food to donate are treated to a discount on in-store orders. Gigi’s has already filled a barrel of food in just three days and they hope to do even better this weekend. In fact, on Saturday, if you bring in five or more canned goods between 1 and 6, you get a free cupcake! 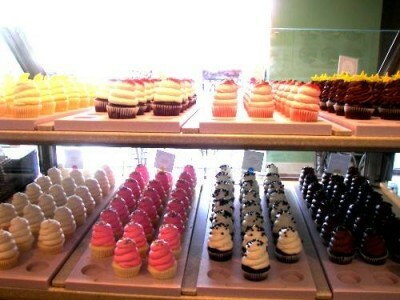 Kings Park NY and DC Cupcakes! 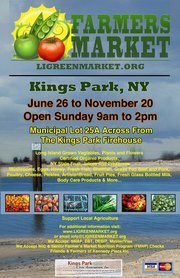 If you live near Kings Park, New York, you may already be aware of the farmers market held on Sundays fom 9 to 2 in the municipal lot on Main Street. We all know that shopping at the farmers market is a great way to get wholesome, fresh food and to support local people. But in Kings Park, the story gets even better. 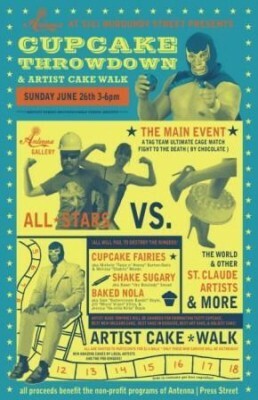 Organizers have teamed up with Terrance Noonan, the producer of DC Cupcakes to raffle off a year of free cupcakes! 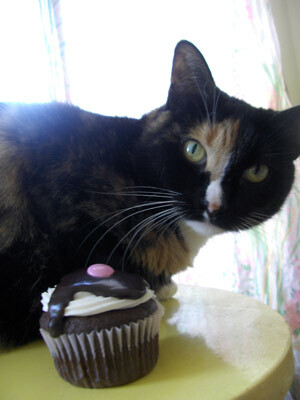 The winner will recieve a dozen cupcakes each month! Proceeds will go to the food pantry at St. Joseph’s Church and to a civic association scholarship fund. The team will start selling tickets tomorrow and the winner will be picked on August 7th. Good luck! You can also visit Kings Park Farmers Market on Facebook! On Thursday, June 30 from 4 pm – 6 pm, all Washington, D.C. military and their families are invited to “Cupcakes for Courage” at Hello Cupcake at their new location on Barracks Row (705 8th Street, S.E., WDC). An R.S.V.P. is requested. 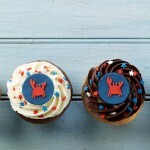 Hello Cupcake is also serving charitable cupcakes from June 30 to July 4, when a portion of the proceeds from the sale of patriotic-themed cupcakes will be donated to Camp Desert Kids, a program under Military Families United that helps service members’ children. This 2 minute YouTube video about this special camp will more than inspire you to participate in this fundraiser.